It's Vinca (periwinkle). I think Vinca major rather than Vinca minor, judging by the upright shoots, but I'm not certain on that. 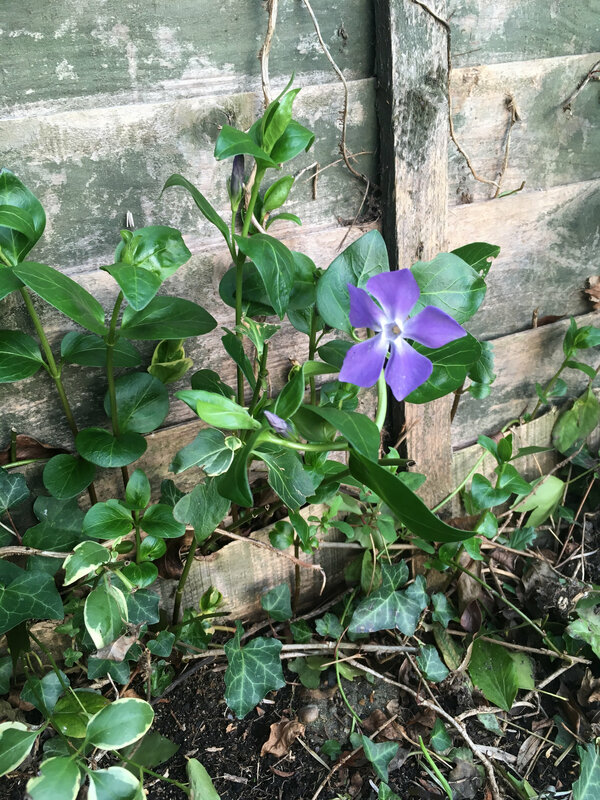 Does anybody grow Vinca minor in a shady area? I'm thinking of "risking" it with one of the white-flowered versions as I think it would look good under trees.